As the world becomes increasingly flat, we need innovative solutions to manage the vast flow of information and data analysis. 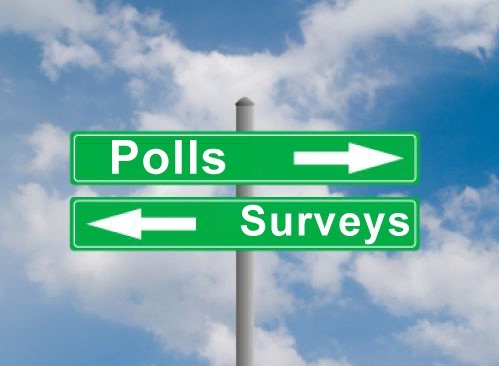 Surveys and polls have traditionally been a reliable way of accomplishing these tasks. Today, online polls and surveys are streamlining this process. Whether you need a commercial business solution, or feedback from family, friends or colleagues, a poll or survey can greatly assist you. SoGoSurvey allows you to create an online survey or poll in just minutes. The biggest decision you need to make is which one to use. So, how do you decide which is a better option? Polls and surveys each have their advantages and disadvantages. Determining your exact requirements and target audience is the best way to decide which solution best meets your needs. Sign up for SoGoSurvey today to start creating surveys and polls!